The word “butterfly” tends to evoke an image of something delicate and beautiful. 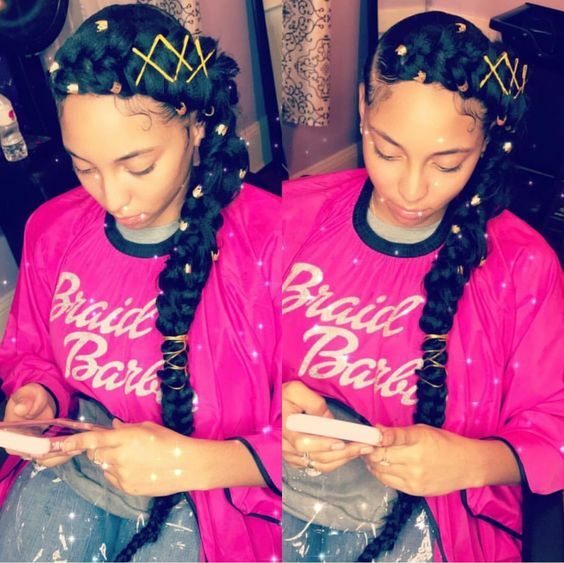 Butterfly braids are just that: making them an elegant protective styling choice. In addition to being pretty, butterfly braids are among a number of protective styles that don’t take hours to create. 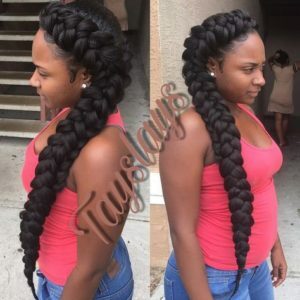 Because the style usually consists of just two chunky braids, the process is actually quite short. The addition of braiding hair helps keep your natural hair tucked away and protected and also helps the style last longer. Butterfly braids have a regal look that makes them a popular styling choice for weddings and other special occasions. 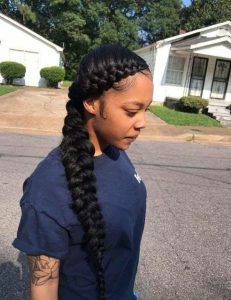 Here are 30 absolutely gorgeous butterfly braid hairstyles. 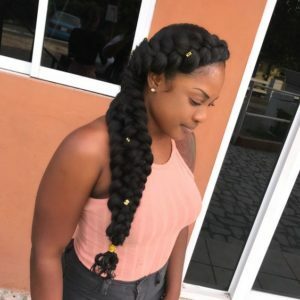 Here is a perfect example of how to style butterfly braids. 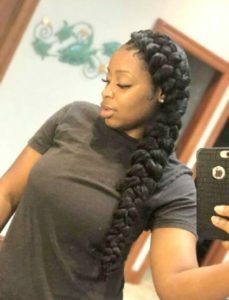 Two braids feed into one another to create one gorgeous, chunky braid. 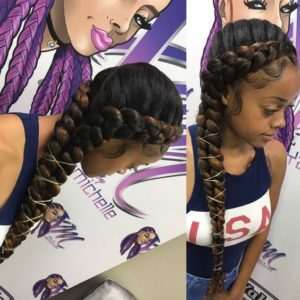 The added braiding hair blends seamlessly with the natural hair. 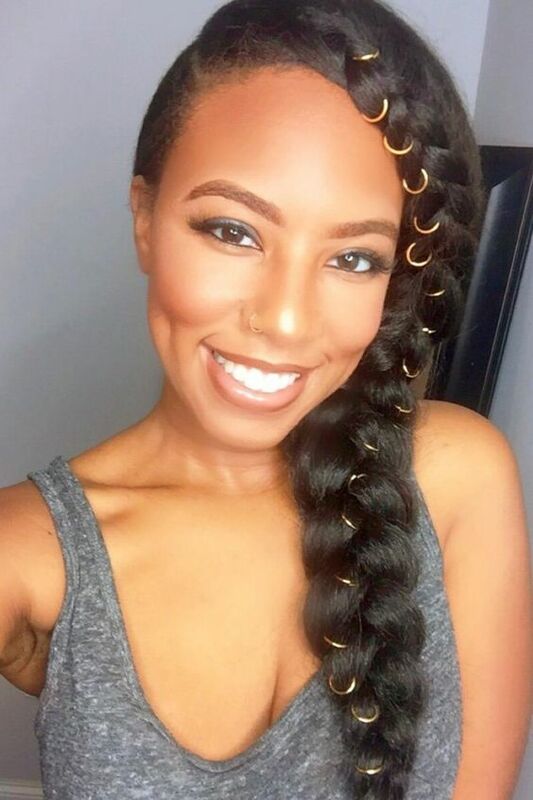 You can use an edge control product to slick down your edges if that’s your desired look. These gorgeous butterfly braids are adorned with beads for a studded effect. This sleek, elegant style is the perfect wedding day look. 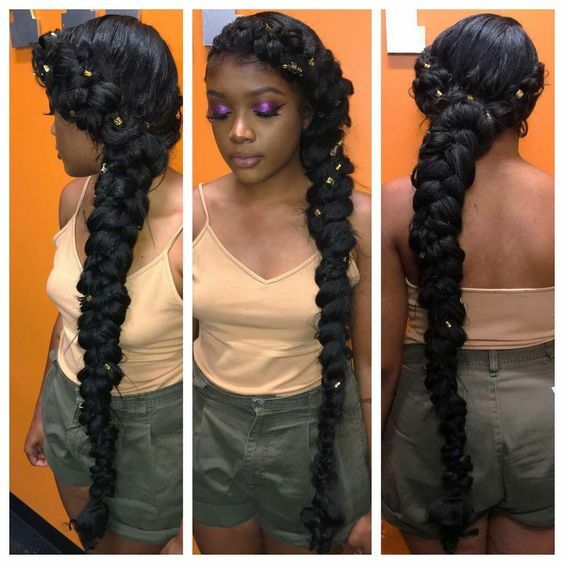 These braids are immaculately executed, creating an absolutely beautiful, sleek final look: a single, thick braid that hangs over one shoulder. Be sure to tie up your hair with a silk or satin scarf at night to keep this style looking fresh. This stunning style features subtle two-toned color and gold beads, which help the color pop even more. This is a creative way to experiment with color. It’s not too drastic, but it will give you a gorgeous sun-kissed look. 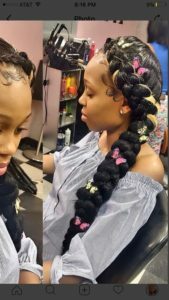 Here’s a slightly different variation of the butterfly braid style. 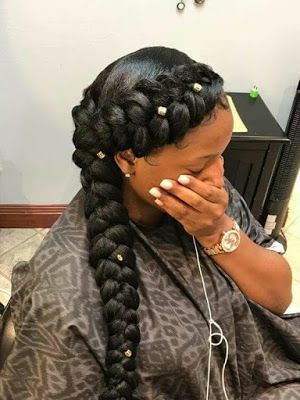 Gold rings are added up and down the length of the braid. 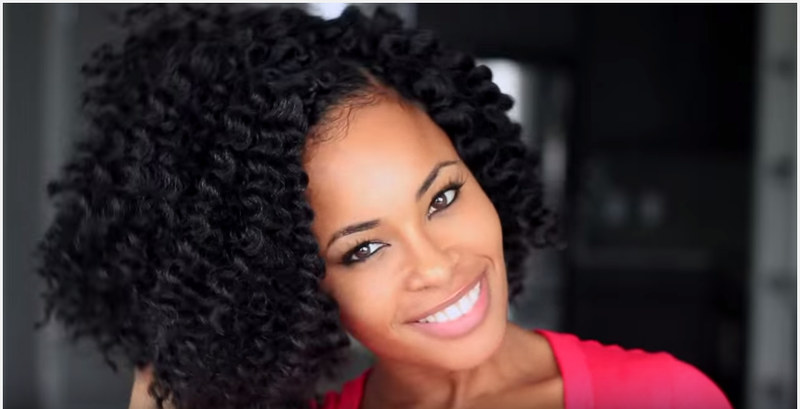 This is a style that can easily be recreated using just your natural hair. 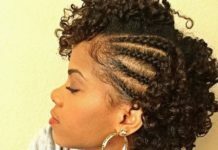 But obviously adding braiding hair will add a protective element and give you more versatility. 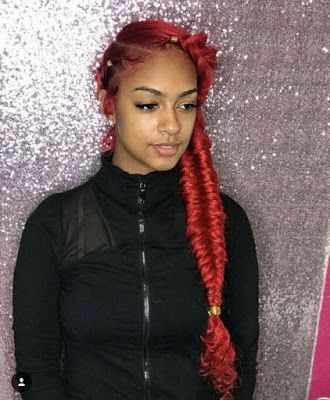 If red is your color, consider these chunky red butterfly braids for your next protective style. 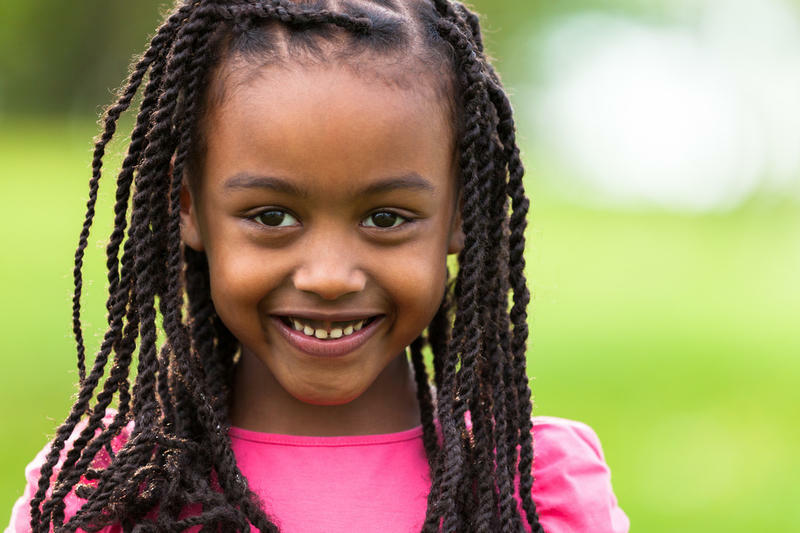 Silver beads are added to accessorize the braids and help offset the rich color. This look is sure to turn heads wherever you go. 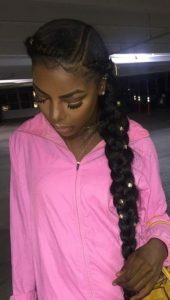 Hair accessories can easily take a simple or common style to the next level and allow you to express your unique personal style. 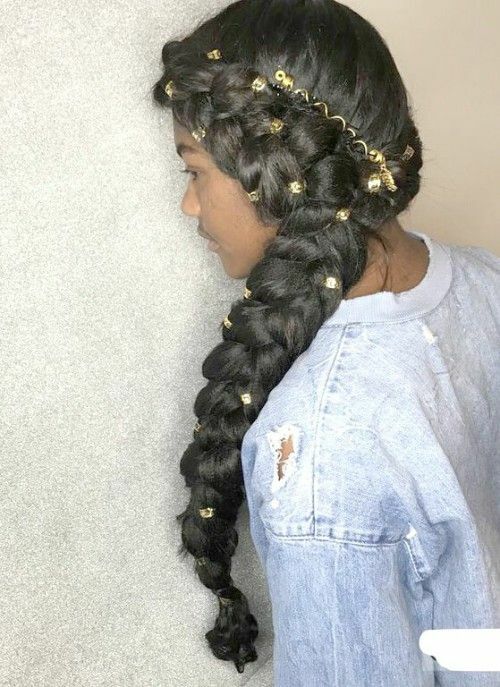 These braids are dressed up with gold beads and accessories, creating an ethereal final look. If you like that sleek, shiny, polished look, then this style is probably right up your alley. The braids are more centered at the back of the head, feeding into a braid that’s not quite a chunky as other, similar styles. 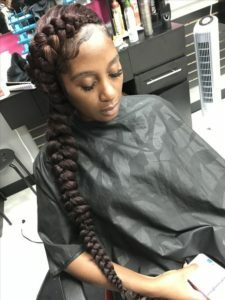 These pretty, two-toned braids are styled a little differently than a lot of other butterfly braids. 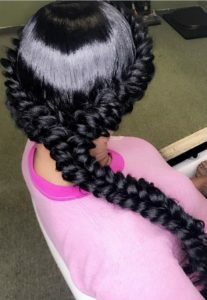 Instead of feeding into one another, the two braids are tied together with silver cord, creating a unique final look. 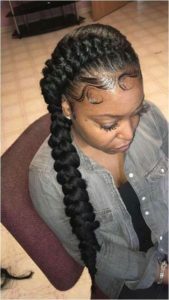 For this style, a curved part is used to divide the hair into two sections. Two braids then feed into one another to create one long, thick braid. These eyecatching butterfly braids are adorned with gold beads for an added touch of elegance. 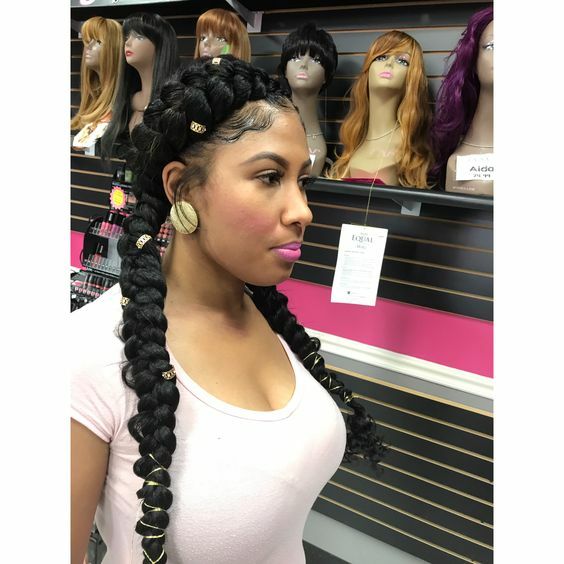 The ends of the braids are fastened together to create a seamless look. For this style, the hair is braided using the fishtail method for a unique, striking look. Gold beads are added to help offset the vibrant red color of the hair. If you want a style that will help you stand out and make a statement, this one will definitely get the job done. Sleek, slicked down edges complete this butterfly braid style. 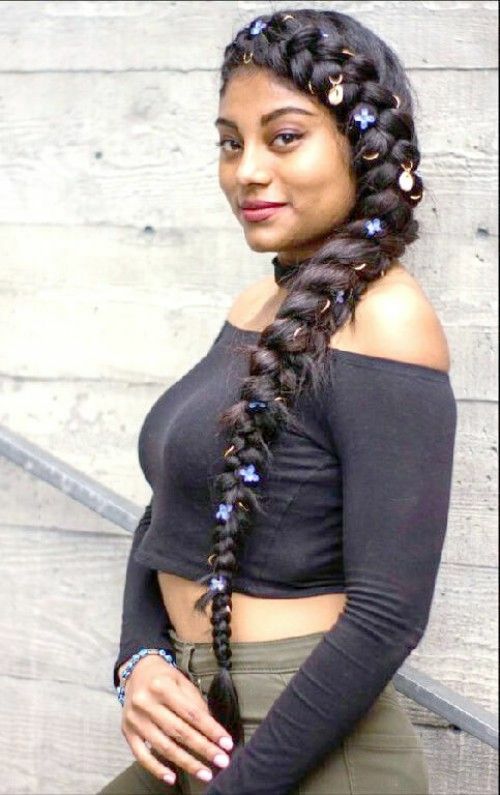 Use a non-flaking gel/edge control product to help maintain this look and tie a scarf securely over your hair at night while you sleep. 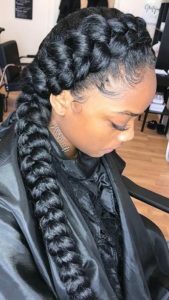 You can also tie a scarf around your hairline right after applying your edge control product to help the results last a little longer. This style takes butterfly braids to the next level. 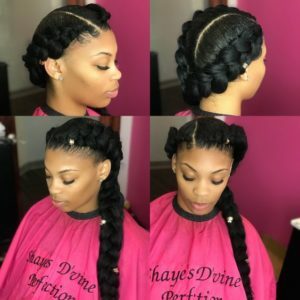 Two cornrows help divide the hair into asymmetrical sections, and hair is added to create two braids that eventually feed into one fishtail braid for a gorgeous final look. 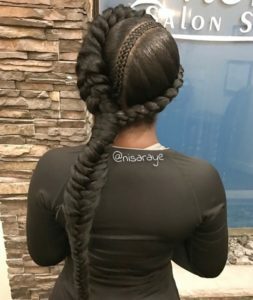 There’s just something about fishtail braids that make them look fancier than other braids. 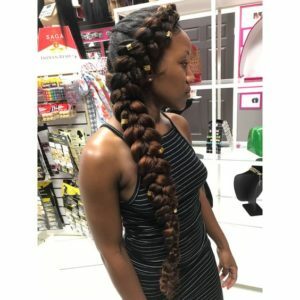 This byttefly style is a literal take on the term “butterfly braids.” Pretty, multicolored butterfly accessories adorn these sleek braids, which include a hint of blonde color. 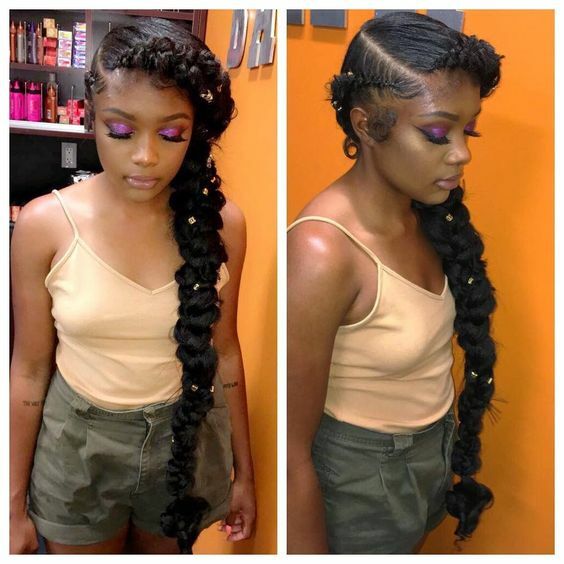 This is a gorgeous look for those who want to make a bold statement. These beautiful butterfly braids fall below the waist, for an ethereal, mermaid-like look. 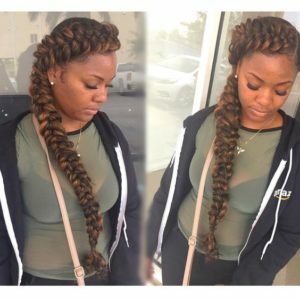 If you like Rapunzel-like lengths, then this style is a great option for you to consider. 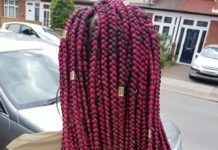 Gold and silver beads aren’t the only accessories you can use to dress up your protective styles. Colorful accessories help create really striking looks as well and you can even switch them up to coordinate with your outfits – or contrast with a bold pop of color. 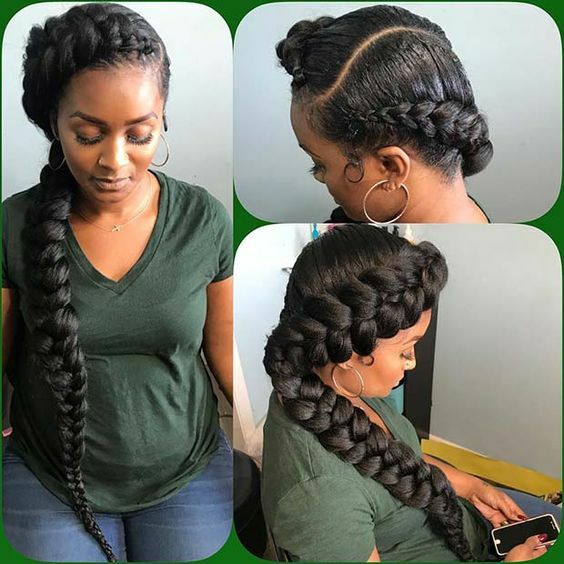 For those who love volume, even when it comes to protective styles like braids, this is a great styling option. 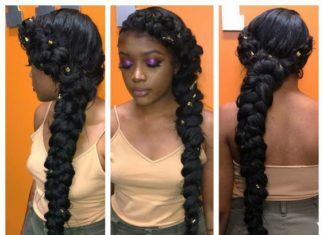 These chunky butterfly braids will certainly satisfy your craving for big hair. 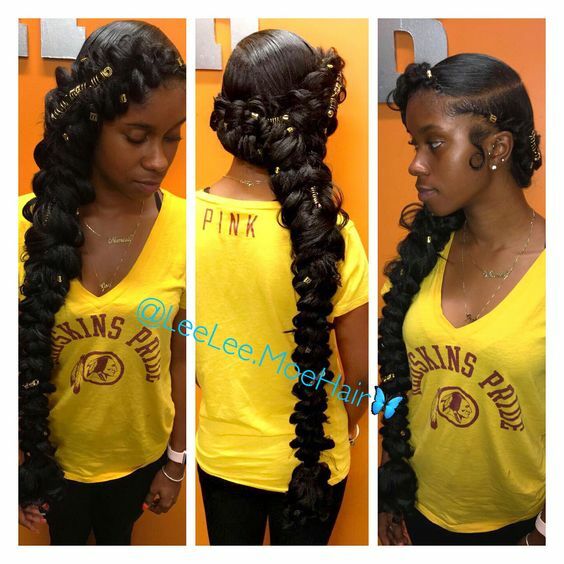 This hairstyle is another great example of the way a few gold beads can become the finishing touch to any style. They’re certainly the cherry on top of this already amazing look. Bobby pins aren’t just handy tools you can use to help hold your hair into place, they can serve double duty by playing the role of a hair accessory too. For this style, yellow bobby pins are used to create “X” shaped designs on the braids and gold beads and cords are added to create a really unique look. Use different-colored bobby pins (or even bejewled ones) to create all kinds of beautiful styles. 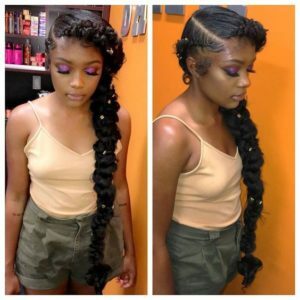 A slight variation of your typical butterfly braid style, these mermaid-style braids are neatly and immaculately styled, resulting in a sleek, stunning final look. This style is perfect for proms, weddings, and other formal occasions. These reddish brown butterfly braids infuse a subtle pop of color into an already gorgeous style. Experimenting with color with a style like this is a great way to see yourself with a new hair color without having to commit to it long-term or alter your natural hair. Because the style itself is so simple, hair accessories really make a big difference when it comes to styling butterfly braids. Gold hair accessories give this style an extra touch of elegance, creating a look that’s fit for a goddess. Golden brown hair is used to create this style, giving it a fun, sun-kissed look no matter what time of year it may be. You can play up this look with some makeup in neutral and metallic tones. Gold or bronze hair accessories can also help make the color really pop. 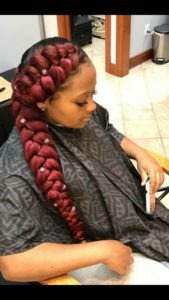 This beautiful style is a variation on your standard butterfly braids. 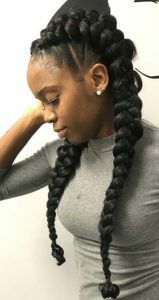 These chunky braids are arranged into two pigtails that hang over each shoulder. 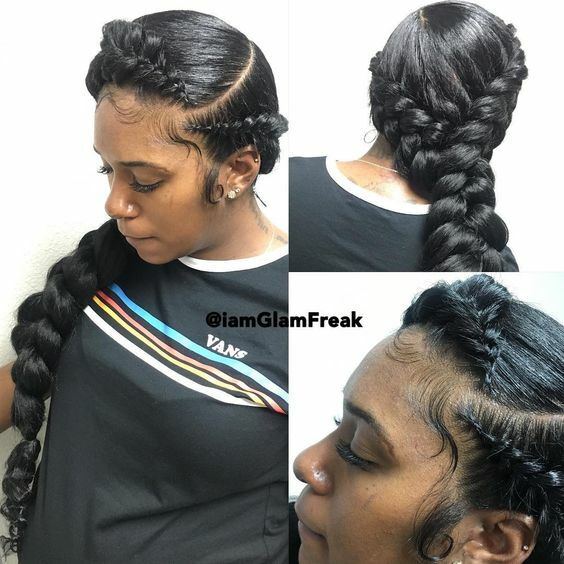 If you want a protective style that leans more towards the look of classic, chunky cornrows, this is a great option. These hip-length butterfly braids feed into a single chunky braid. No accessories needed here to show off the immaculate braiding skills of the stylist who created this simply gorgeous look. 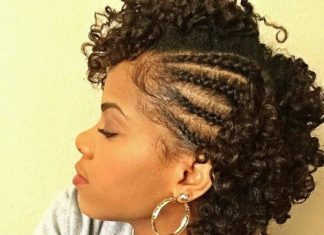 Two cornrows help separate the rest of hair into two sections for this pretty braided style, setting it apart from other similar styles. Add a few gold beads to help finish off the look. If you like sleek, shiny braided styles, then these braids are the perfect choice for you. 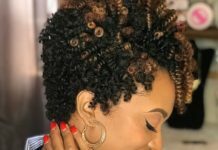 Just make sure you choose hair you can blend with your natural hair color and texture for the most seamless final look. These gorgeous braids are styled into two low pigtails. The braids are adorned with gold bead and cord to create a unique look. Arrange hair accessories to your liking to create a look that’s just right for you. This style is a great way to tap into your inner child, while still maintaining a look that’s sophisticated and chic. 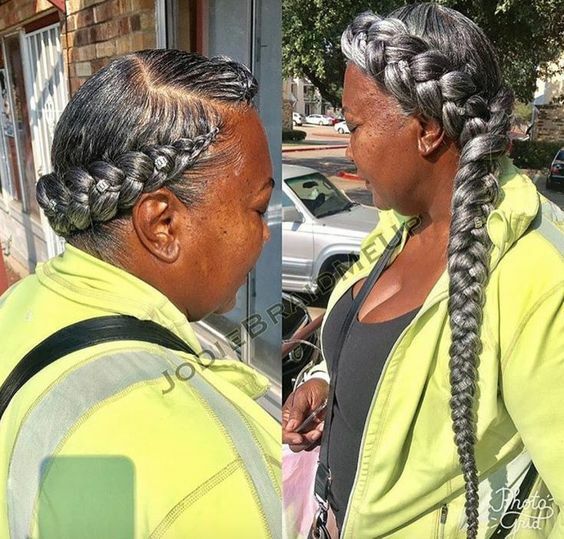 We’ve come a long way when it comes to embracing the natural beauty of grey hair. In recent years, grey and silver tones have even become popular choices for protective styles like braids and weaves. 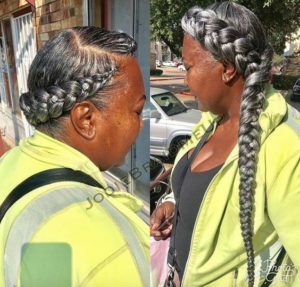 What better way to embrace your natural grey hair than with a gorgeous braided style like the one pictured here. 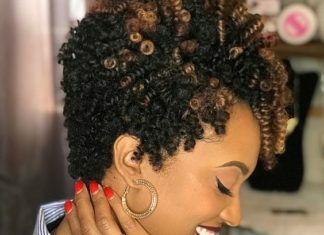 Black Hair Tribe is a magazine created to share with you the best black hair style ideas, hair product reviews, and tips for natural hair.